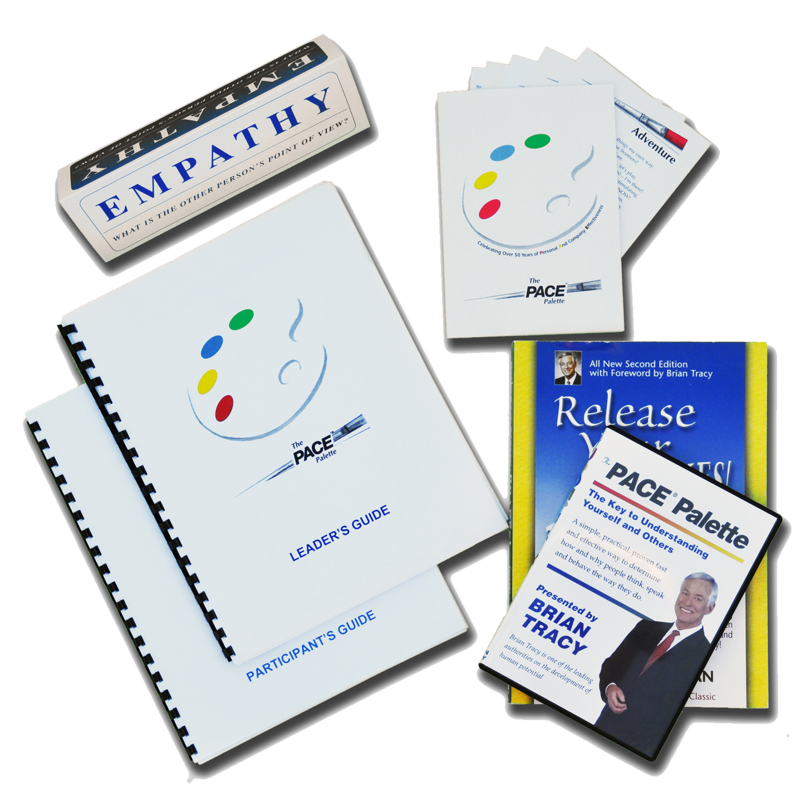 The PACE® Palette Trainer’s Package is the complete facilitator’s program for delivering the most complete and comprehensive PACE® Palette Workshop for your participant’s. 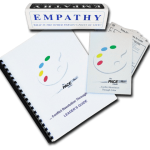 This package was designed to give you all the tools necessary for delivering a phenomenal, highly interactive PACE® Palette Workshop and allow you to achieve the greatest possible results for enhanced communication in the workplace. 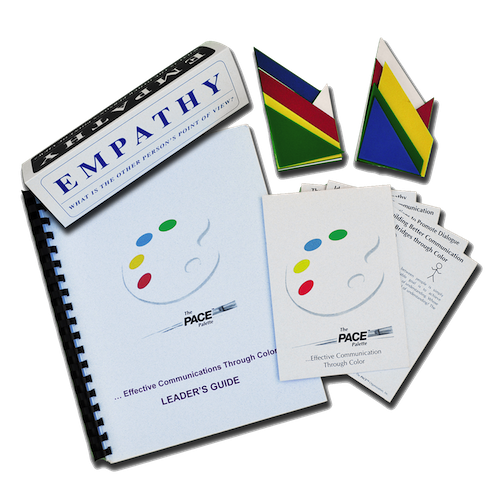 This package is comprised of the PACE® Palette Leader’s Guide, The PACE® Palette (complete with score card and four color cards-Red, Yellow, Blue & Green), Empathy Card Tent Sign, The PACE® Palette Participant’s Guide-a workbook designed to perfectly complement The PACE® Palette, The PACE® Palette AudioCD Program recorded by Brian Tracy-complete with corresponding verbatim transcript and a copy of the renowned book Release Your Brakes! 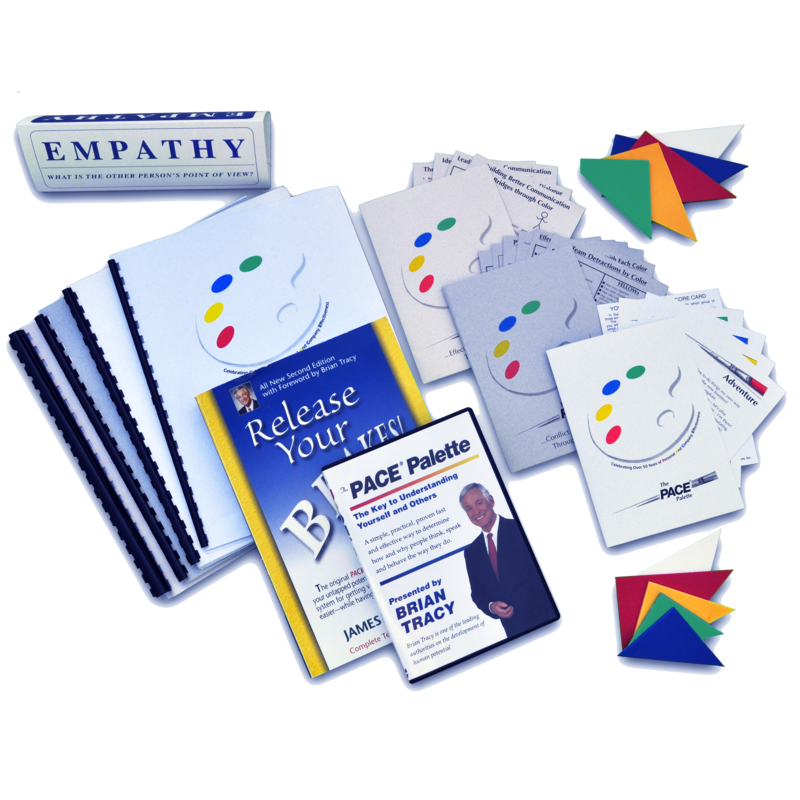 by PACE® founder, the late James W. Newman (e-book edition). 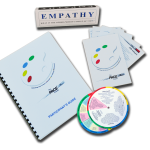 This package is designed for trainers at all levels. 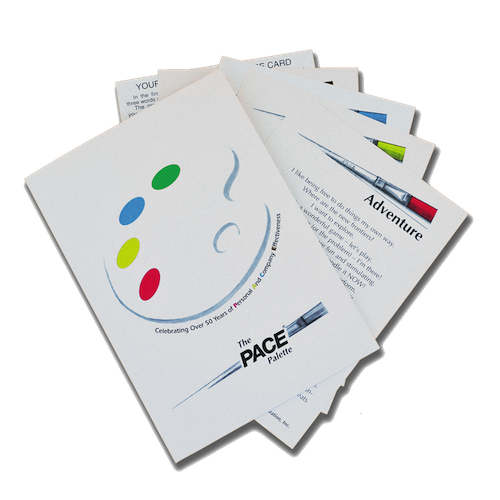 The beauty of the entire PACE® Palette Workshop Series is that it immediately delivers results and is easy to deliver, experience and implement! 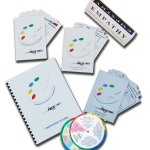 Literally tens of thousands have benefited from this program over the course of the past 15 years and for over 45 years (in the case of the PACE® Workshops!). 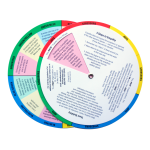 For additional information on each of the components in the package, please refer to the individual items on the products page.